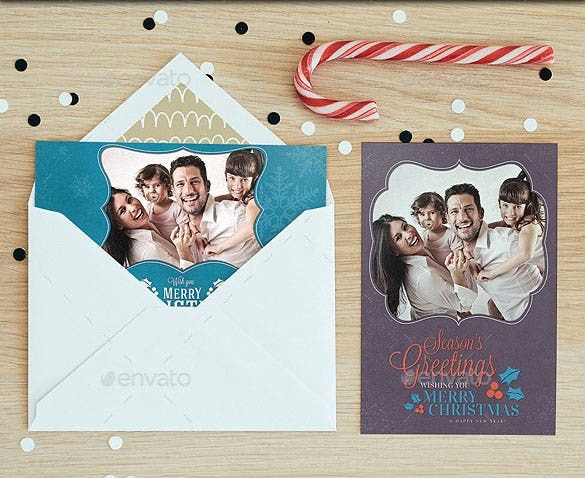 When you have your near and dear ones staying far away, they wish to see your photos on Christmas for a special warm feeling – that you get when you are with your family members. 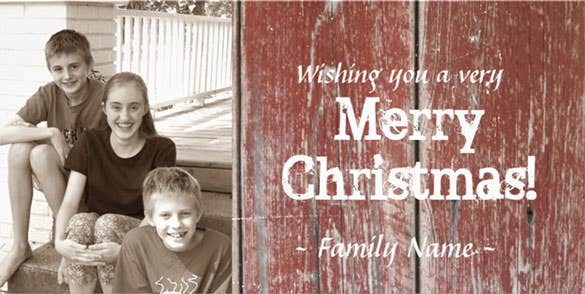 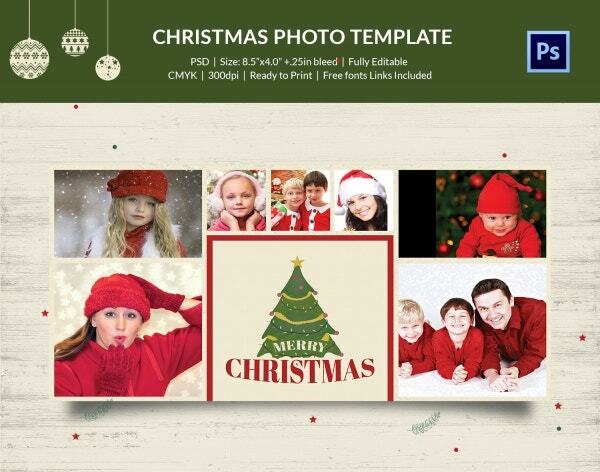 Thus, today you have the Christmas photo templates that allow you to send your photos along with your Christmas notes. 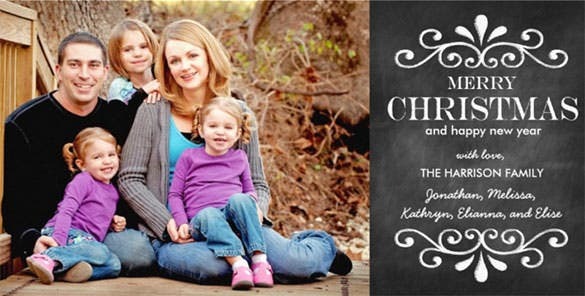 You can upload your picture on one side of the note and the other side will feature the greeting text. 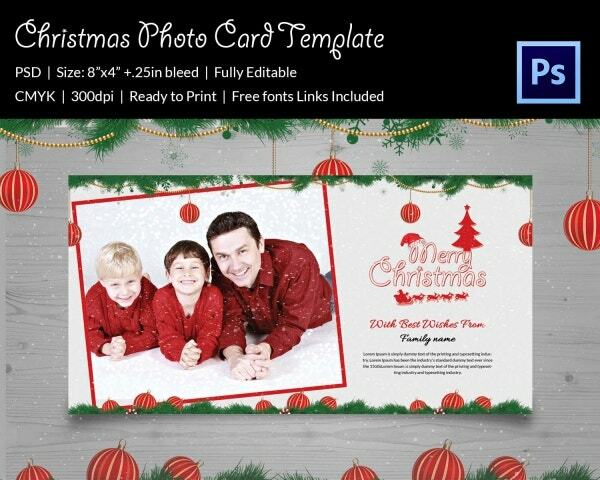 You can also see Christmas Greeting Card Templates. 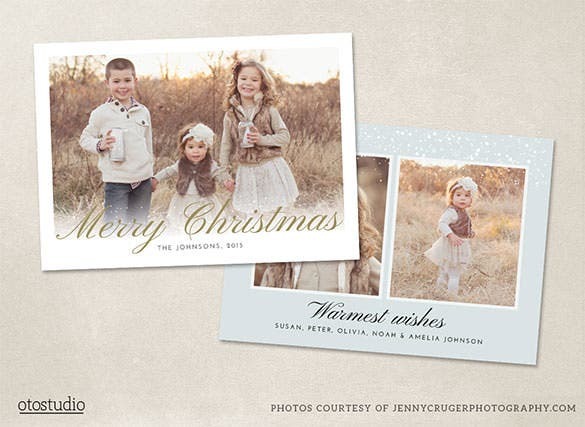 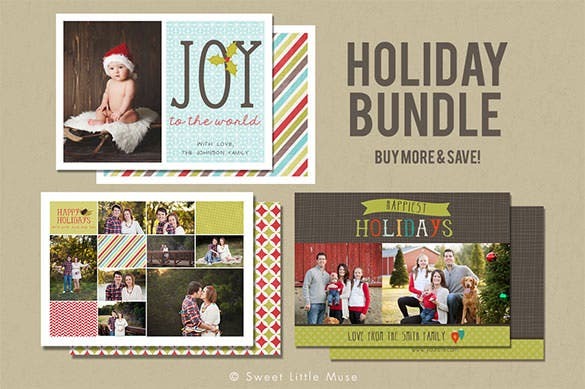 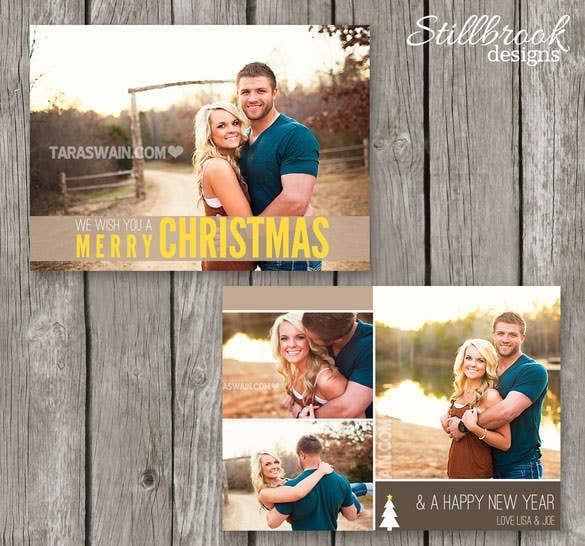 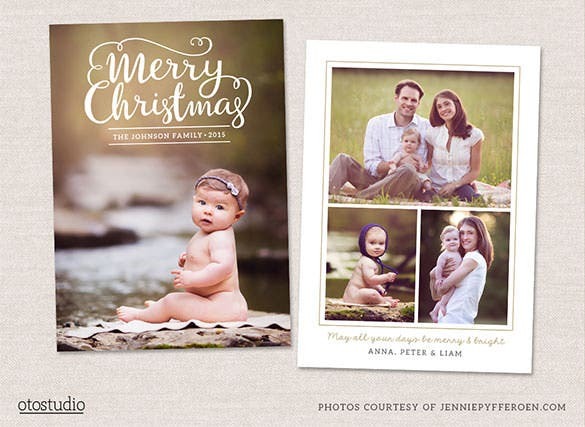 Christmas photo cards are really popular and you are getting as many as 6 Christmas photo templates here. 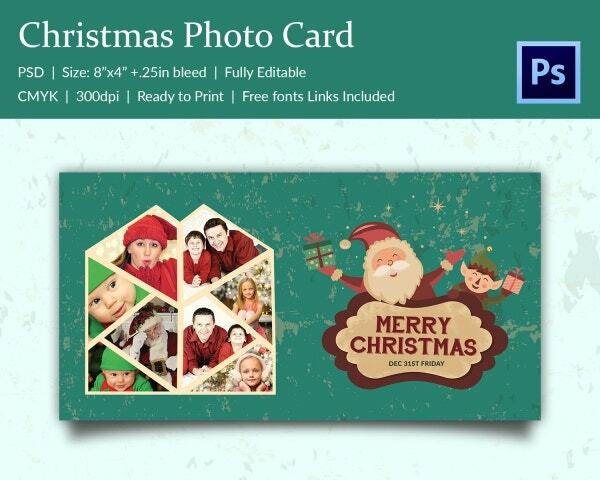 All of them come up with a Polaroid structure where you can upload your lovely pictures. 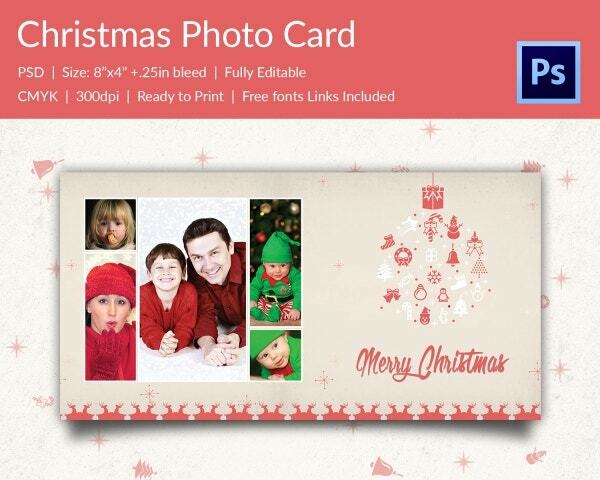 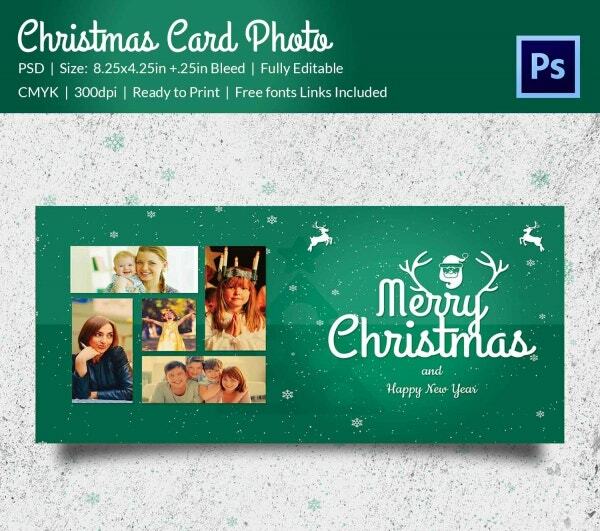 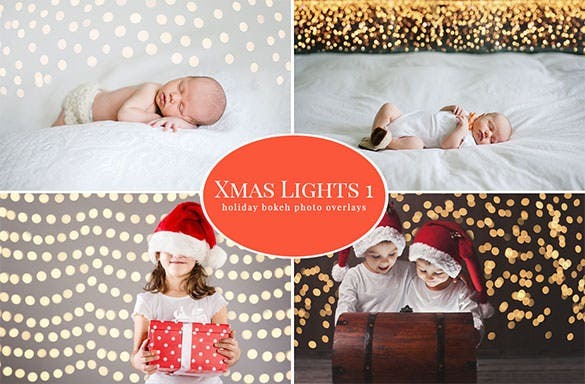 This is a lovely collection of Christmas photo card template that will enable you to upload your beautiful photos on the card. 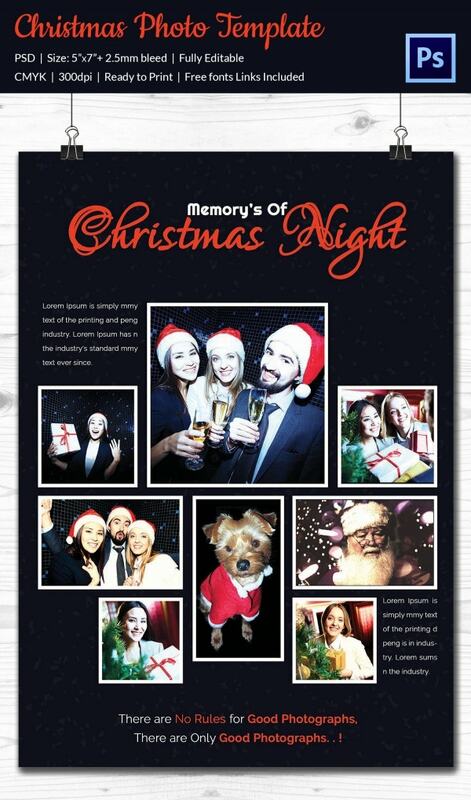 The photos can be added on both sides of the card. 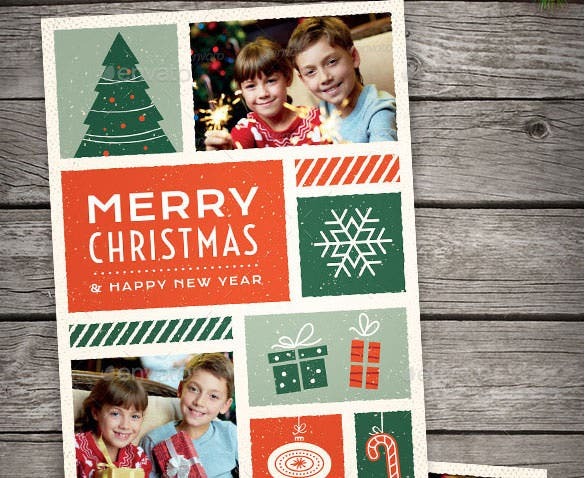 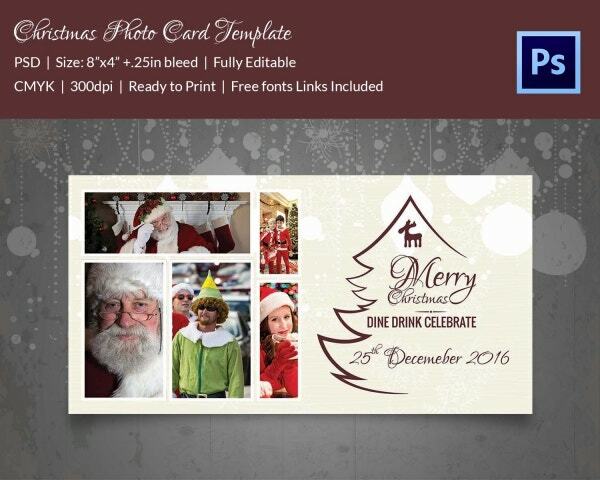 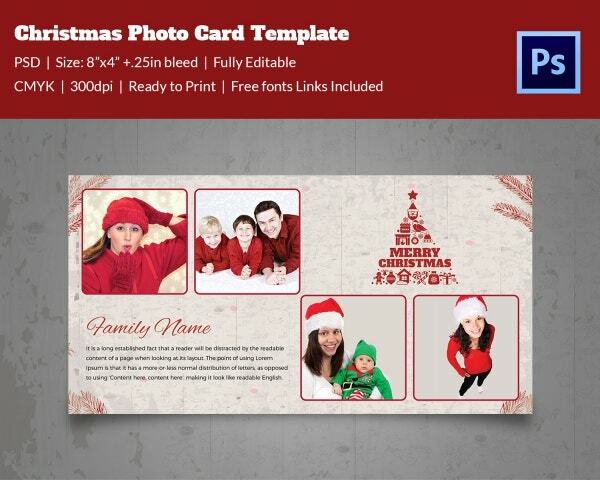 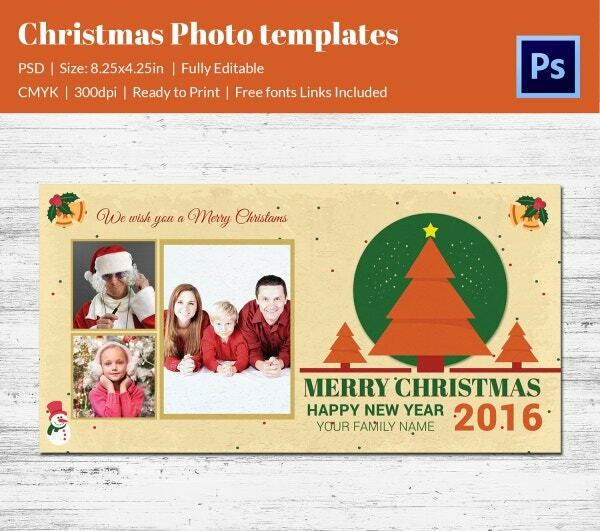 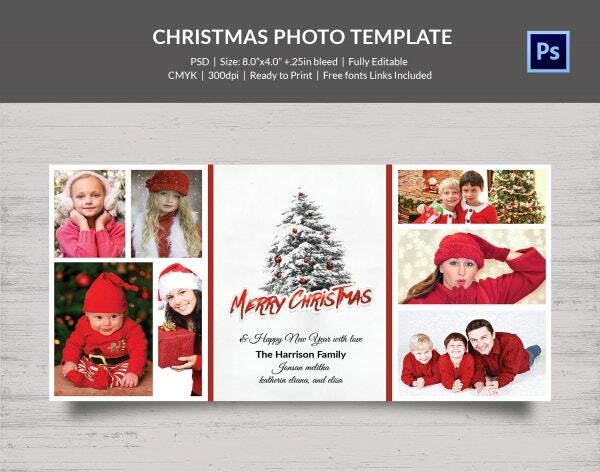 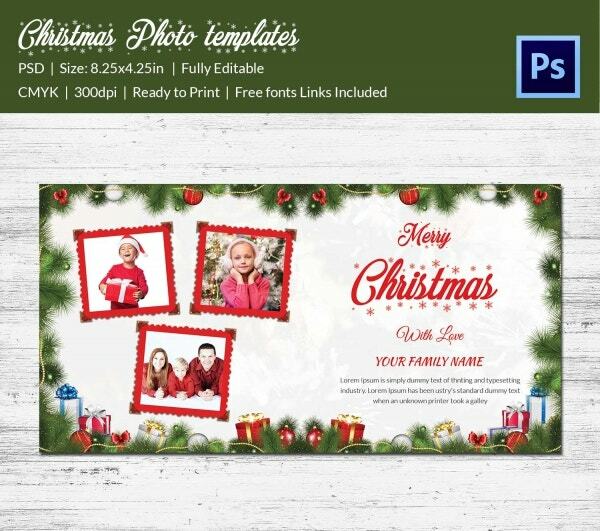 If you are looking for a readymade template which will enable you to send your merry Christmas greetings along with your family photo to relatives and friends- this template would be a great collectible for you. 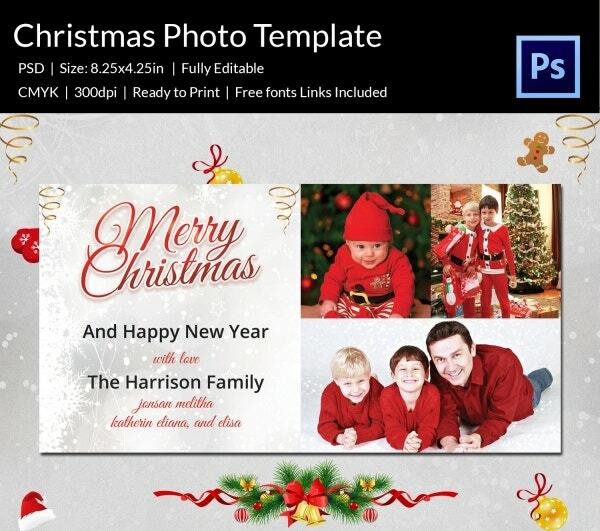 The white and gold combo looks rich and elegant. 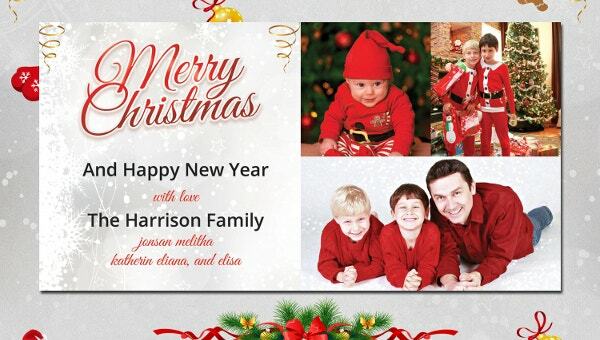 It would make a gorgeous photo header for your lovely pictures. 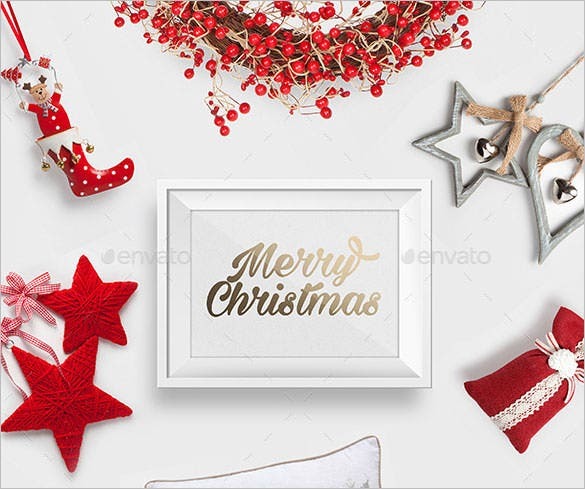 The red Christmas knick-knacks at the sides complete the overall look. 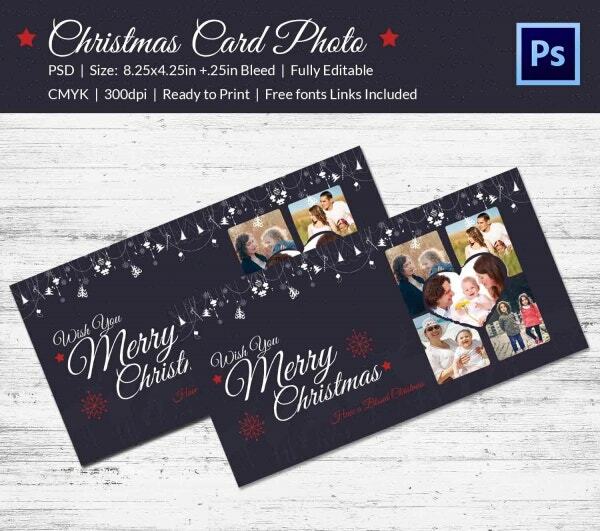 You are getting 2 different Christmas photo cards here. 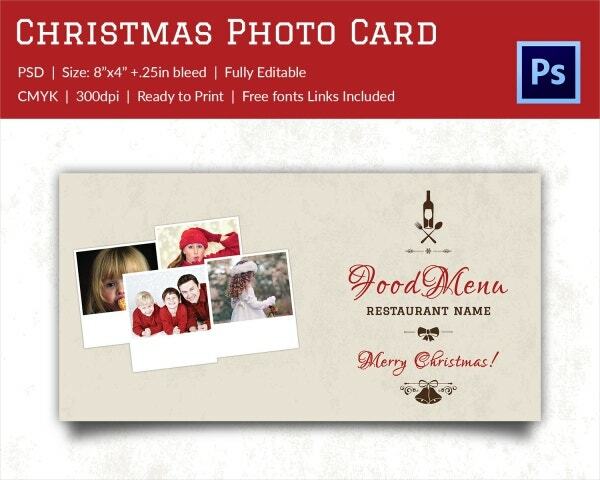 One of them allows you to upload a single grand picture while the other one has got a divided space for 2 pictures. 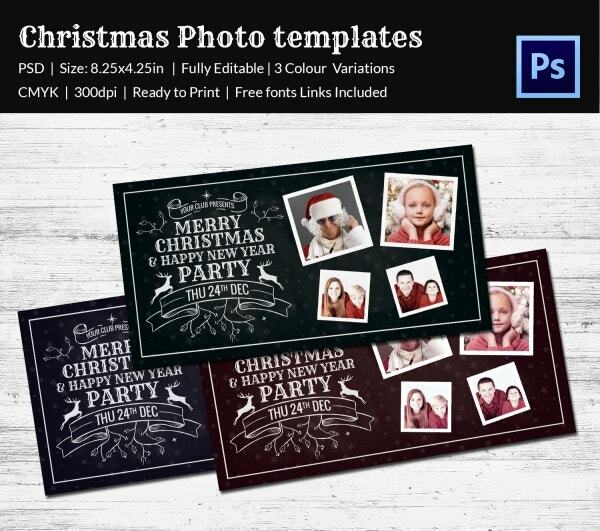 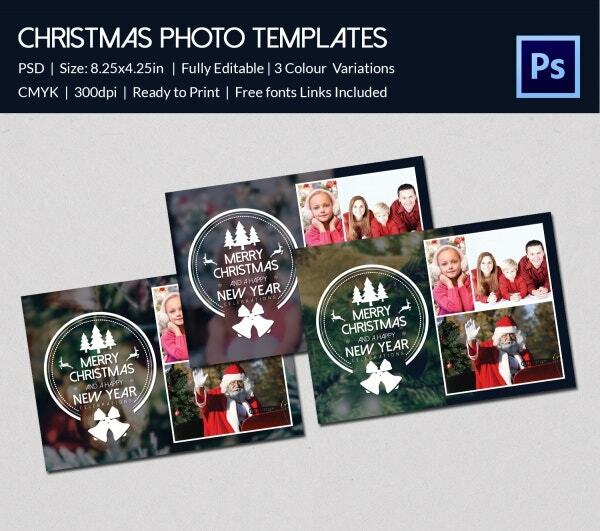 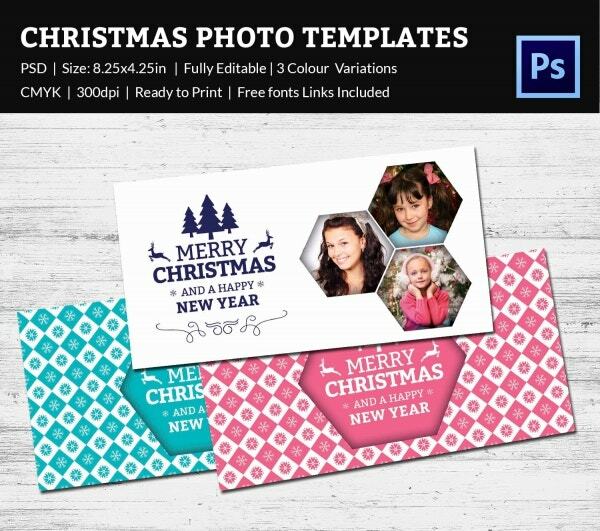 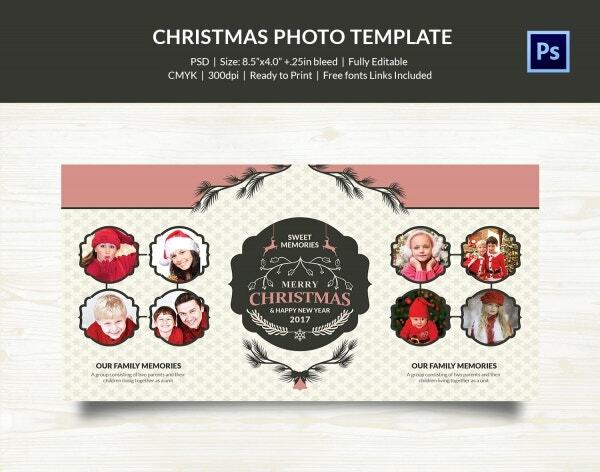 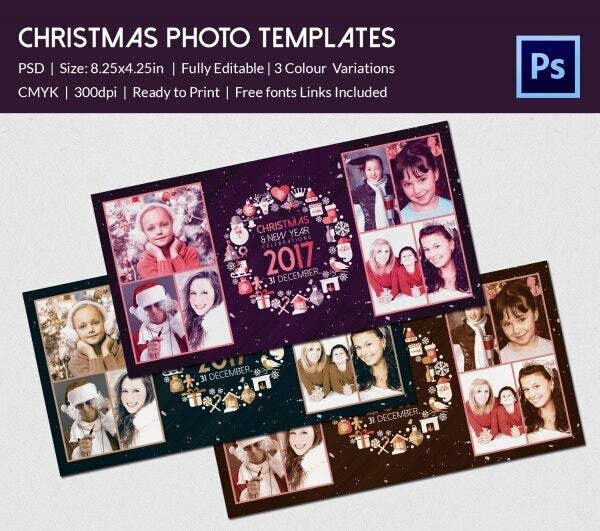 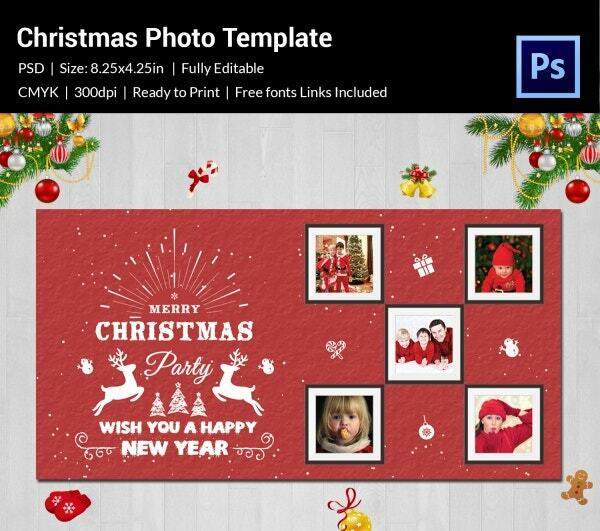 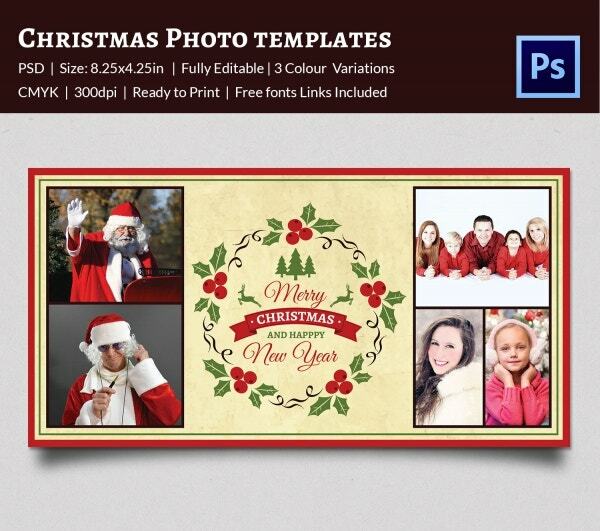 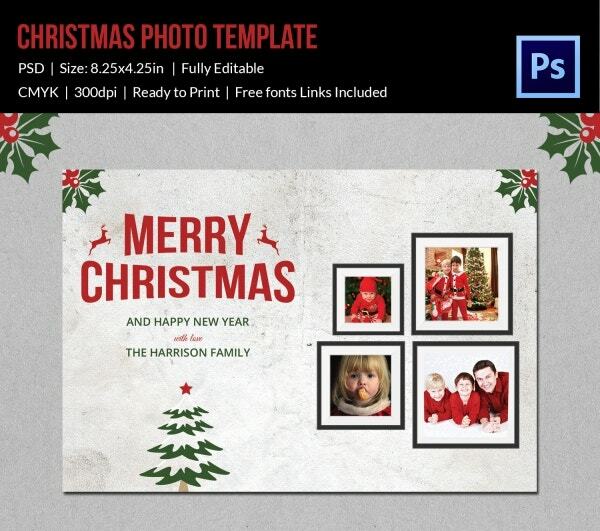 Some of the Christmas photo templates PDF allow you to add one big photo while some of them will even enable you to make a collage of 4 tiny photos- and you will have the greetings embedded at the center of the christmas template.